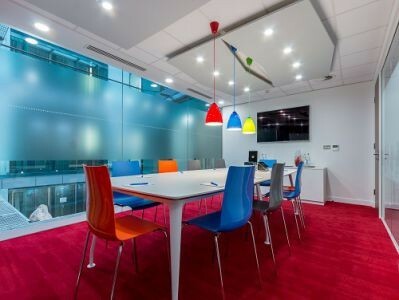 This contemporary business centre provides a range of outstanding office space in a mix of sizes and configurations within London's Tech City benefiting from state of the art IT and communications systems, modern decor, including pendant lighting and exposed brick work, comfortable furnishings, and four well appointed meeting rooms. In addition, the smart reception area is fully staffed with professional receptionists ready to welcome your clients into the building. Other facilities include 24 hour access, hot desking, relaxing lounge areas, lifts and air conditioning. Prominently situated in a highly sought after Shoreditch location on City Road, a stones throw from Old Street's Silicon Roundabout. Boasting excellent public transportation links with Moorgate, Liverpool Street, Barbican and Angel Tube Stations a short walk away, and well served by numerous bus routes. The area is a hub for financial, technology and creative industries with a range of companies making it the home of their UK headquarters. Shoreditch is also famous for its extensive mix of dining establishments, with every taste catered for. City Road was first laid out in 1761 as a major route into the City. It runs from Islington High Street in the northwest towards the Old Street Roundabout, the epicentre of London's Tech City. From Old Street, the road continues south to Finsbury Square and Moorgate. City Road and The Eagle Pub are mentioned in the nursery rhyme 'Pop Goest the Weasel', which had an additional verse performed at the Theatre Royal in 1856. Located at Shepherdess Walk and City Road, the pub has the words of the rhyme written on its exterior. Galleries, grocery stores, shops, and restaurants with local and international dishes are also found along City Road. 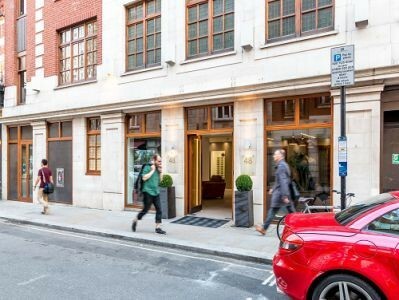 The Z Hotel Shoreditch and Travelodge London City Road are based close to the Old Street Roundabout, which is a bustling retail and business hub. The Moorfields Eye Hospital is also located on City Road, which is served by several bus routes. Once the location of a tube station of its own, the road is now served by the nearby London Underground stations of Angel, Old Street and Moorgate.